In addition to becoming cheaper, and increasing in efficiency and yields, solar cell technology is also growing in terms of innovative design. By going beyond the conventional design of silicon panels and electrical cables, researchers are ensuring that solar technology can go farther. And the latest advances in design are especially far-sighted, aiming to merge solar technology with just about any surface, and even sending it into space. 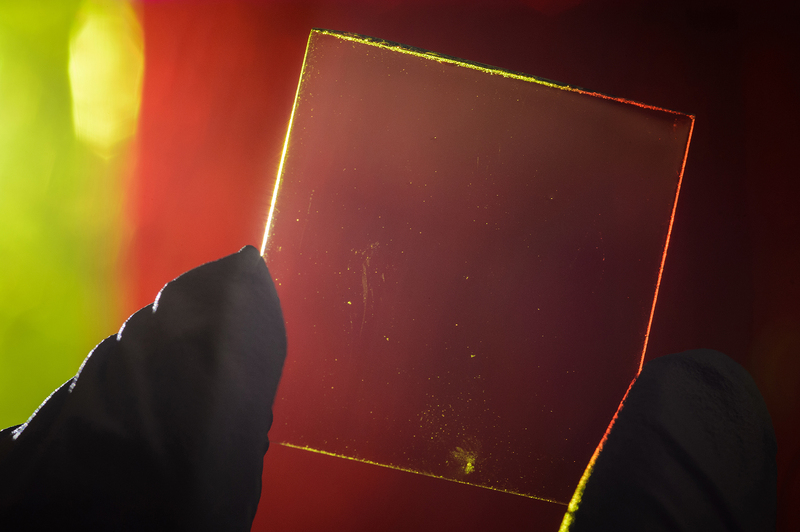 In the former case, researchers at Michigan State University have created a fully transparent solar concentrator, which could turn any window or sheet of glass – from highrise buildings to the screens on smartphones and tablets – into a photovoltaic solar cell. And whereas other “transparent” solar panels have been designed in the past, this one is the first that truly lives up to the word. 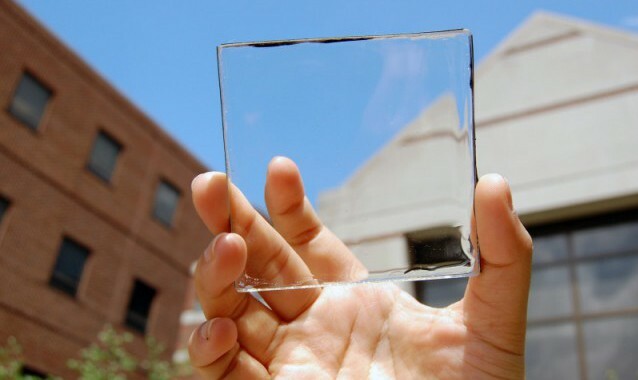 Scientifically, a transparent solar panel is something of an oxymoron. 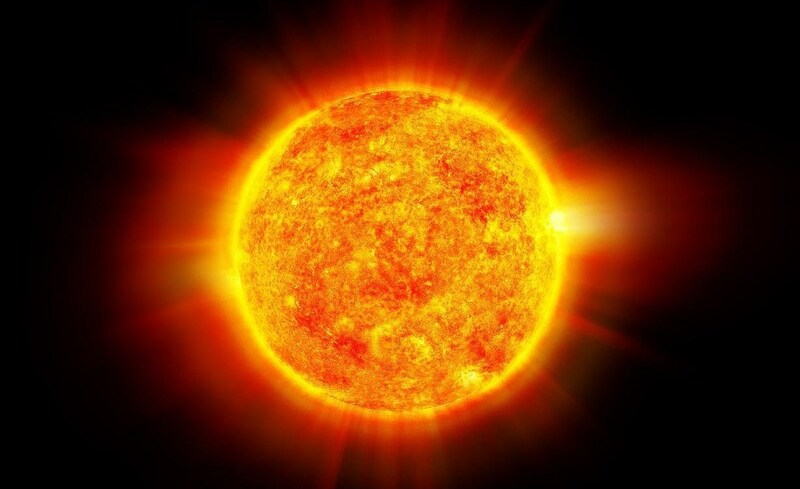 Solar cells, specifically the photovoltaic kind, make energy by absorbing photons and converting them into electrons. If a material is transparent, by definition it means that all of the light passes through the medium. This is why previous transparent solar cells have actually only been partially transparent, and usually cast a colorful shadow. To get around this limitation, the Michigan State researchers use a slightly different technique for gathering sunlight. 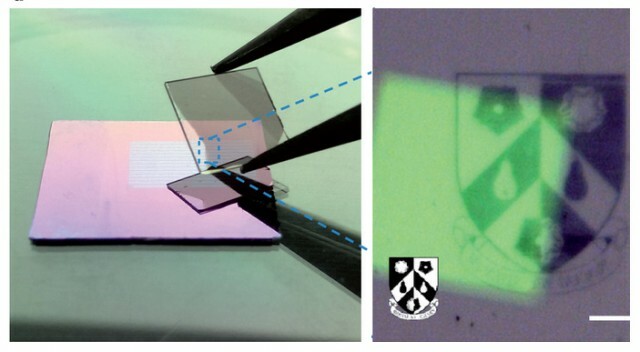 Instead of trying to create a transparent photovoltaic cell, they used a transparent luminescent solar concentrator (TLSC), which consists of organic salts that absorb specific non-visible wavelengths of ultraviolet and infrared light, which they then luminesce (glow) as another wavelength of infrared light (also non-visible). 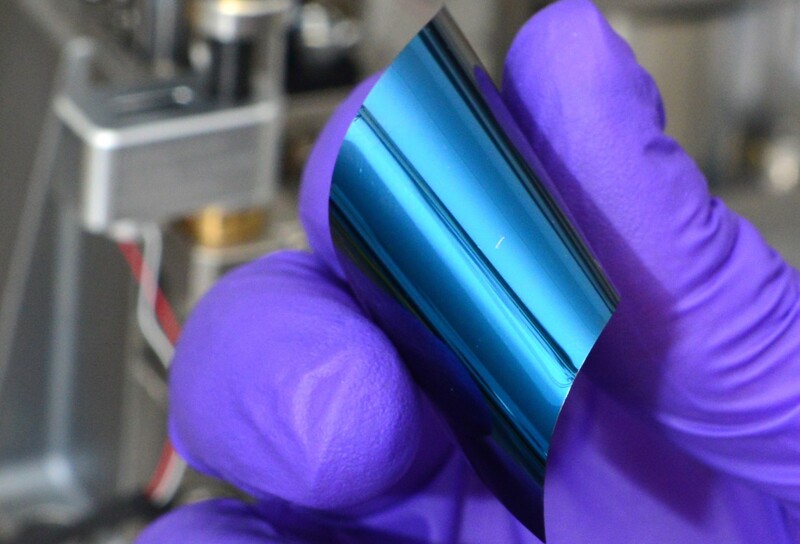 This emitted infrared light is guided to the edge of plastic, where thin strips of conventional photovoltaic solar cell convert it into electricity. Currently, the Michigan TLSC has an efficiency of around 1%, but they think 5% should be possible. On their own, these aren’t huge figures, but on a larger scale — every window in a house or office block — the numbers quickly add up to a significant electrical yield. 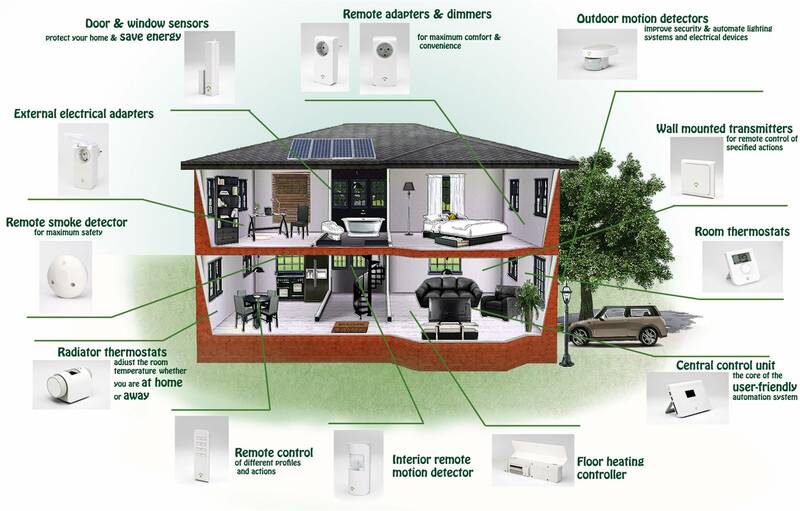 Moreover, the researchers are confident that the technology can be scaled all the way from large industrial and commercial applications, down to consumer devices, while remaining “affordable.” So far, one of the larger barriers to large-scale adoption of solar power is the intrusive and ugly nature of solar panels. But if large amounts of solar power can be produced from sheets of glass and plastic, it would go a long way to making the scaling process feasible. Another major innovation comes from Brigham Young University, where researchers have been working with NASA’s Jet Propulsion Laboratory to address the challenge of Space-Based Solar Power. For some time, scientists have understood that a solar array in orbit of Earth would be ideally suited for solar power collection, since it would be immune to weather, cloud cover or diurnal cycles (aka. nighttime). 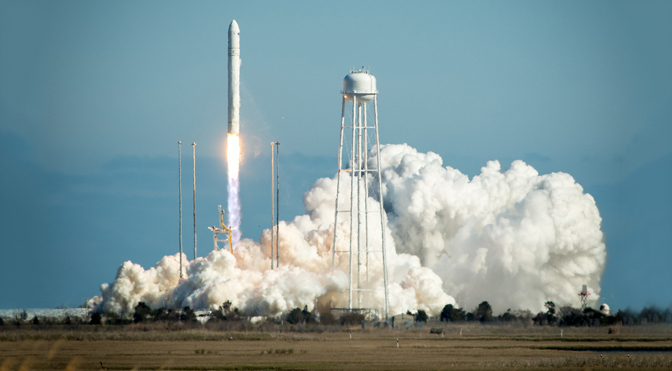 Unfortunately, getting solar cells into space is a bit of a problem. In order to be effective, solar panels need to be thin have a large surface area to soak up more rays. This makes it difficult to transport them into orbit, and requires that they be broken down,and flown up piece by piece, and then assembled once in orbit. Given the cost of mounting a sending a single rocket into orbit, this prospect becomes very costly very fast. However, the Brigham team came up with a simple and elegant solution to this problem, and found it in the form of origami. 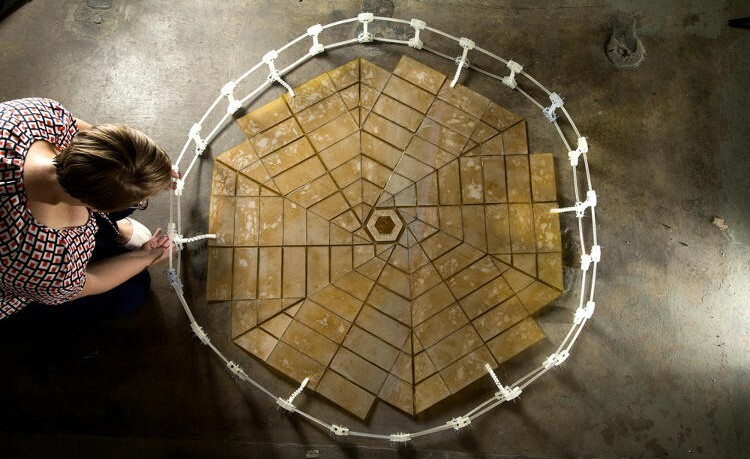 By working with complex origami folds, they were able to design a solar array that can shrink down to one-tenth of its original size. Folded up, the device is 2.7 meters (8.9 feet) across and can easily wrap around a spacecraft. 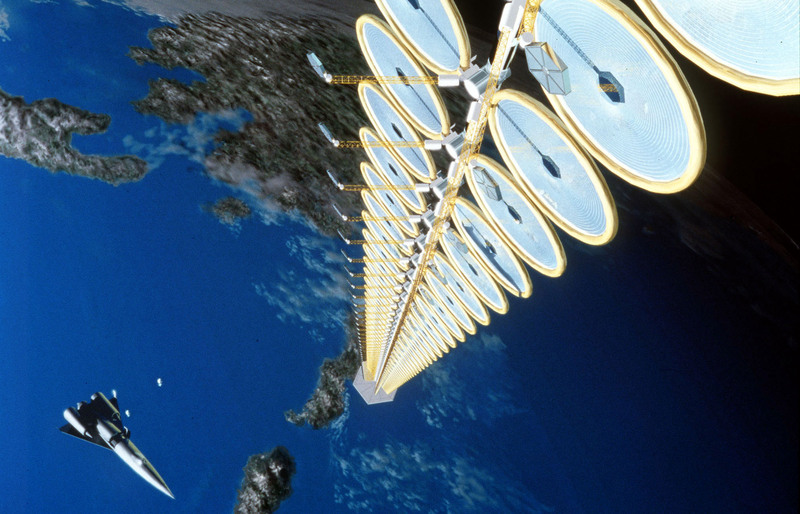 Once it reaches space, the array would then unfold to become as wide as 25 meters (82 feet). Given that solar panels deal with large, flat, thin structures, the origami concept seems like a natural fit. And this is not the first time that it has been used in space equipment design – in the 1990’s, Japanese astrophysicist Koryo Miura created a prototype for another folding solar panel. However, that project was abandoned for various reasons, not the least of which was lack of funding. He was trained as a physicist, used to work at JPL, and then got tired of the formal bureaucracy and left to start folding paper. Now he’s a world expert… We see value in going directly to any artist, even if they don’t have his credentials, because they have the thousands of hours or folding and tinkering to realize what can and can’t be done. Anytime you can bring in other disciplines, they just visualize things differently and bring in different solutions to your problems. The new solar panels could be used to power spacecraft and potentially also on orbiting power stations that could wirelessly send energy to Earth via microwaves. 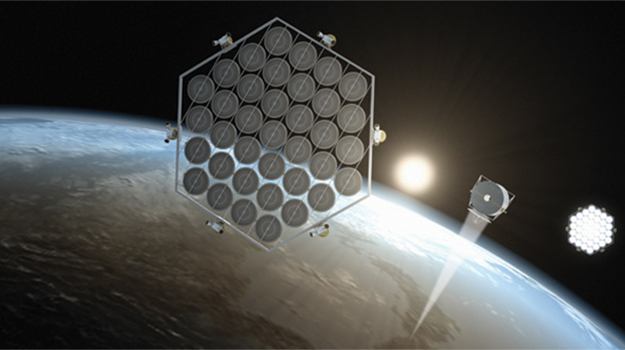 A similar design could also be used on Earth to provide new options for portable solar power in remote locations. 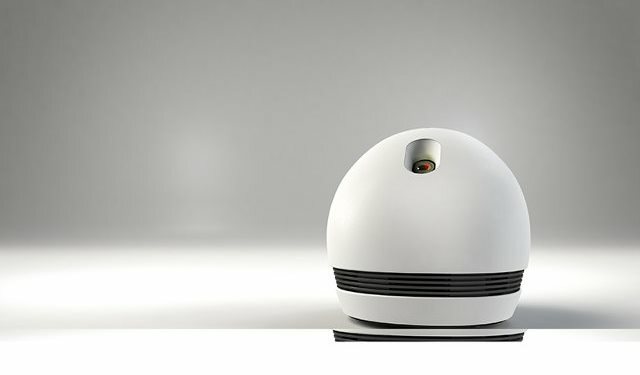 The same type of design might also be used in architecture or product design because of its unusual looks and function. Soldiers right now might carry around 100 pounds, 15 of those pounds are batteries and fuel. If you can eliminate that, you’ve dramatically reduced their load… It’s different from opening an umbrella, because it can accommodate rigid material. You could do something like a deployable glass chandelier or a table. When it’s deployed, it looks like a flower blooming–it’s got a nice aesthetic to it. 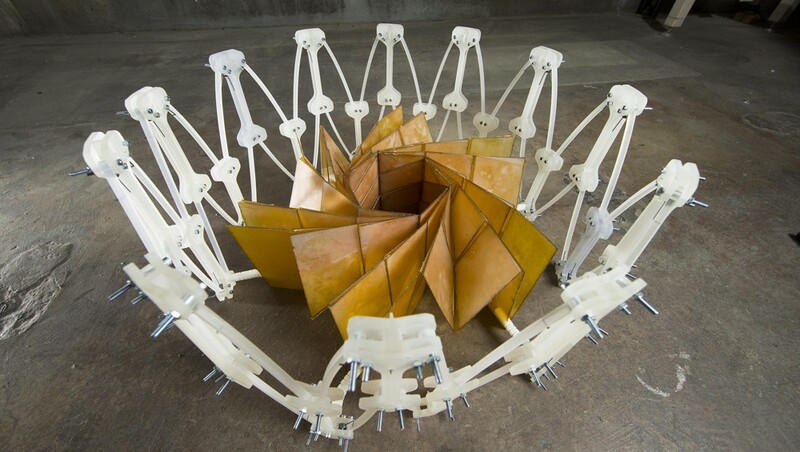 In the next few weeks, Trease will also meet with other experts to consider different potential applications for space equipment, like antennas and reflectors, that could also deploy using origami. And given the rapidly-dropping prices associated with placing objects into orbit, this could prove to be the basis for the dream of Space-Based Solar Power – where all our energy needs are met by solar arrays in orbit that then beam them to Earth. The explosion in computing and personal devices in recent years has led to a world where we are constantly surrounded by displays. Whether they belong to personal computers, laptops, smartphones, LCDs, PDAs, or MP3 players, there is no shortage to the amount of screens we can consult. In turn, this proliferation has led computer scientists and engineers to address a number of imperfections these displays have. For instance, some of these displays don’t work in direct sunlight or are subject to glare. Others are horridly energy-inefficient and will drain their battery life very quickly. Some don’t have high-definition, rich color, and can’t display true black color. Just about all of them are rigid, and all can be broken given a solid enough impact. Luckily, a new age of flexible, ultra-HD screens are on the way that promise to resolve all of this. 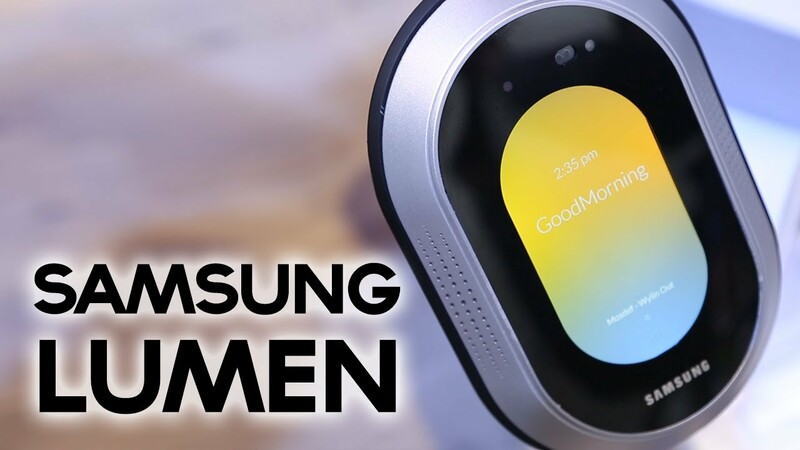 The first examples of this concept were rolled out at the 2011 Consumer Electronics Show, where Samsung unveiled its revolutionary new AMOLED display on a number of devices. 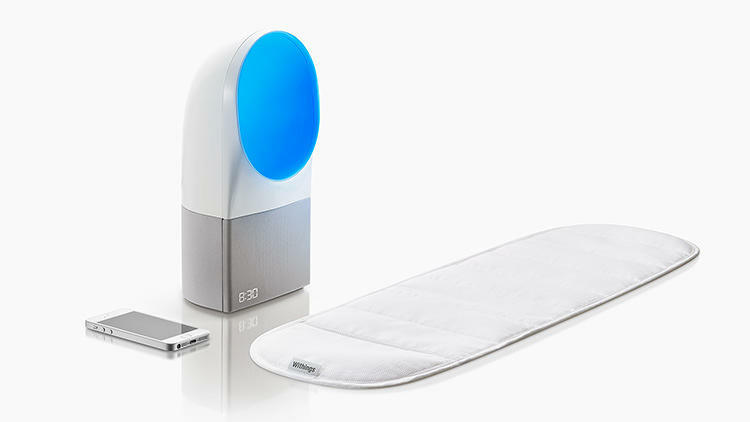 This was followed up in September of 2012 when Nokia unveiled its Kinetic Device at the World Nokia Conference in London. Both devices showcased displays that could bend and flex, and were followed by concept videos produced by electronic giants Sony, 3M and Microsoft. 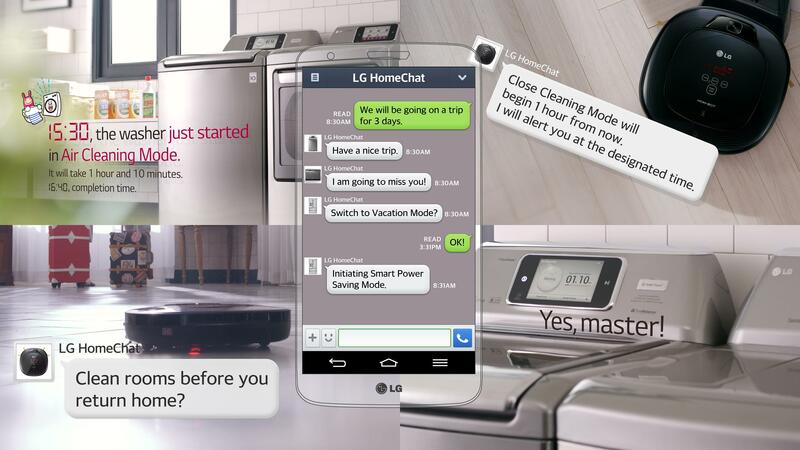 Since that time, numerous strides have been taken to improve on the technology before it hits the open market. In research published earlier this month in Nature, scientists describe what may be the first steps toward creating a new type of ultrathin, superfast, low-power, high-resolution, flexible color screen. If successful, these displays could combine some of the best features of current display technologies. It is really fascinating that phase-change materials, now widely used in optical and nonvolatile electronic memory devices, found a potentially new application in display technology. A PCM display would work similar to the electronic paper used in products like Amazon’s Kindle reader. Both are made by sandwiching a material that has two states, one lighter and one darker, in between layers of transparent conductors. The inner material is a viscous black oil filled with tiny white titanium balls. To make a pixel black or white, a current is run through a tiny area of the glass to either pull the reflective balls to the front, or cause them to recede. In a PCM display, the inner material is a substance made of silicon’s heavier cousins: germanium, antimony, and tellurium. The two states of this material (known as GST) are actually two different phases of matter: one an ordered crystal and the other a disordered glass. To switch between them, current pulses are used to melt a tiny column, and either cooled gently to make the crystal or rapidly to make the glass. This cycle can be done remarkably quickly, more than 1 million times per second. That speed could be a big advantage in consumer products. While scrolling on a Kindle can be terribly slow because the screen only refreshes once per second, the refresh rate on a PCM display would be fast enough to play movies, stream videos, and perform all the tasks people routinely do with their devices. To make the new displays, the research team – led by Harish Bhaskaran, a nanoscale manufacturing expert from Oxford University – used a 35-year-old machine developed by the semiconductor industry. They then laid down three layers that were a few nanometers thick of conducting glass, GST, and another layer of conducting glass. Then they used current from the tip of an atomic force microscope to draw pictures on the surface. 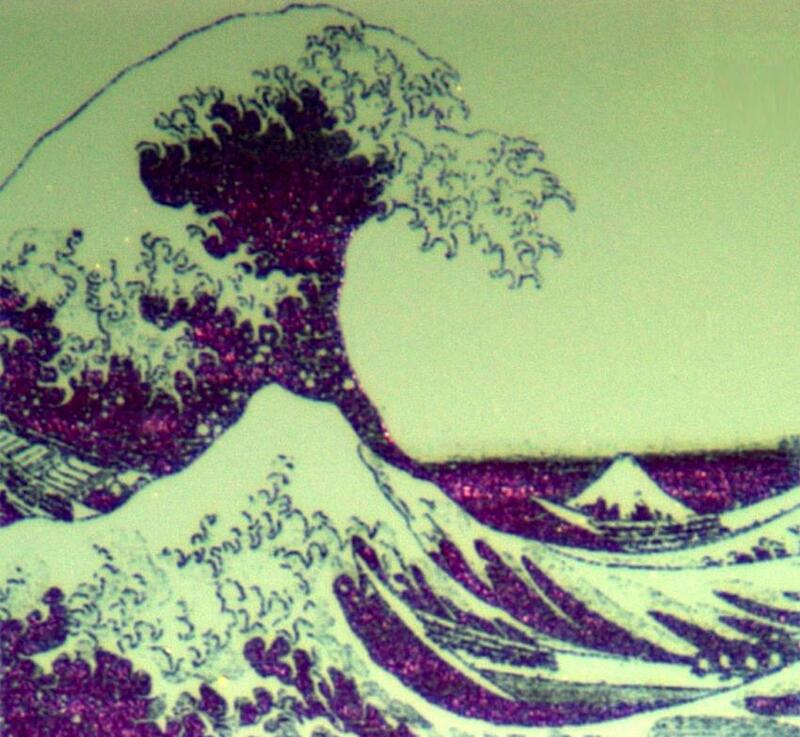 These images included everything from a Japanese print of a tidal wave to fleas and antique cars – each one smaller than the width of a human hair. With this sort of flexible, ultra-high resolution screen, a PCM display could be made into everything from a bendable laptop and personal device to a programmable contact lens — like Apple’s Retina Display, except that it would actually fit on your retina. Turning this technology into products will require years of labor and hundreds of millions of dollars. Nevertheless, Bhaskaran and his colleagues are optimistic. The electronics industry has lots of experience with all the components, so there are plenty of well-known tricks to try to improve this first draft. And they are hardly alone in their efforts to bring flexible displays to market. For instance, LG unveiled their new line of flexible OLED TVs at CES earlier this year. Now, they are taking things a step further with the unveiling of two new 18-inch OLED panels, the first of which is a transparent display, while the second can be rolled up. Although both fall short of the 77-inch flexible TV on show at CES, the company says the new panels prove that it has the technology to bring rollable TVs with screens in excess of 50 inches to market in the future. 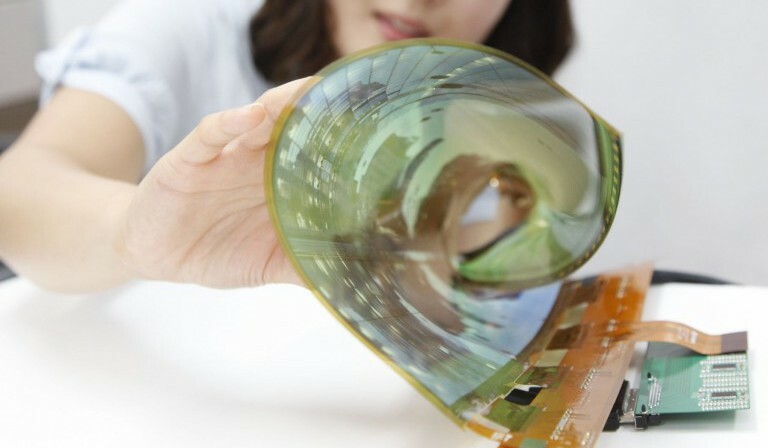 Unlike their 77-inch flexible TV that has a fairly limited range of changeable curvature, LG Display’s latest flexible OLED panel can be rolled up into a cylinder with a radius of 3 cm (1.18 in) without the function of the 1,200 x 810 pixel display being affected. This is made possible though the use of a high molecular substance-based polyimide film to create the backplane, rather than conventional plastic . 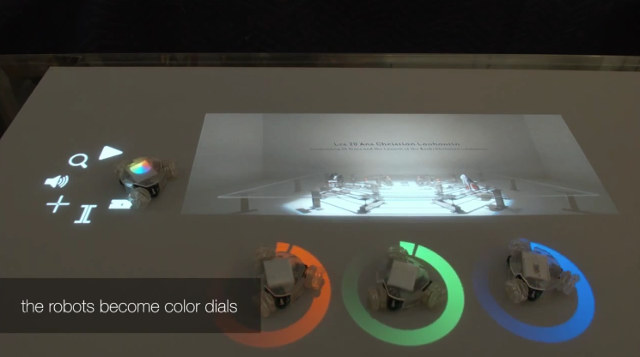 The transparent OLED panel, on the other hand, was created using LG Display’s transparent pixel design technology. With transmittance of 30 percent, the company says the panel is superior to existing transparent LCD panels that generally achieve around 10 to 15 percent transmittance. LG Display claims to have also reduced the haze of the panel, caused by circuit devices and film components, to just 2 percent. LG Display pioneered the OLED TV market and is now leading the next-generation applied OLED technology. We are confident that by 2017, we will successfully develop an Ultra HD flexible and transparent OLED panel of more than 60 inches, which will have transmittance of more than 40 percent and a curvature radius of 100R, thereby leading the future display market. Granted, it will be still be a few years and several hundred million dollars before such displays become the norm for computers and all other devices. However, the progress that is being made is quite impressive and with all the electronics megagiants committed to making it happen, an age where computing and communications are truly portable and much more survivable is likely just around the corner. 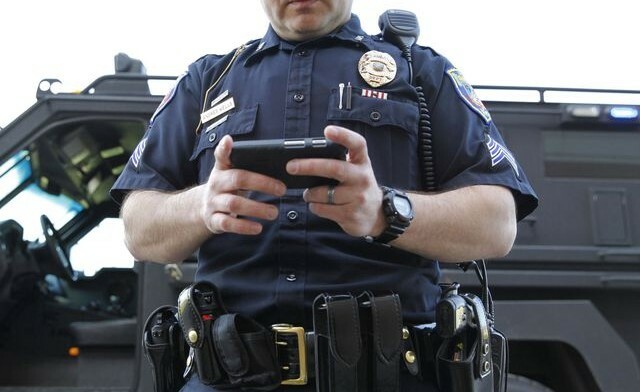 In another landmark decision, the Supreme Court issued a far-reaching defense of digital privacy by declaring that law enforcement officials are henceforth forbidden from searching cell phones without a warrant at the scene of an arrest or after. The decision was based on two cases in which police searches of mobile devices led to long prison sentences. This decision is just the latest nail in the coffin of warrantless surveillance, a battle that began over a decade ago and has persisted despite promises for change. The ruling opinion notes that cell phones have in fact become tiny computers in Americans’ pockets teeming with highly private data, and that gaining access to them is now fundamentally different from rifling through someone’s pockets or purse. This contradicts the argument from U.S. prosecutors that a search of a cell phone should instead be treated “as materially indistinguishable” from a search of any other box or bag found on an arrestee’s body. That is like saying a ride on horseback is materially indistinguishable from a flight to the moon. Modern cell phones, as a category, implicate privacy concerns far beyond those implicated by a cigarette pack, a wallet or a purse… A decade ago officers might have occasionally stumbled across a highly personal item such as a diary, but today many of the more than 90% of American adults who own cell phones keep on their person a digital record of nearly every aspect of their lives. In one of the two cases at issue, a California man was charged with assault and attempted murder in relation to a street gang in which he was allegedly a member. The connection between his actions and gang activity were made when police searched his smartphone without a warrant and found videos and photos that prosecutors claimed demonstrated that he was associated with the “Bloods” gang. In short, the contents of his phone were used to put his crime into a context that carried with it a stiffer penalty. In the second case, a Boston man had his cell phone searched when he was arrested after an apparent drug sale. By finding his home address on his flip phone, police were able search his home and find a larger stash of drugs. Both defendants argued that the warrantless searches violated the fourth amendment. 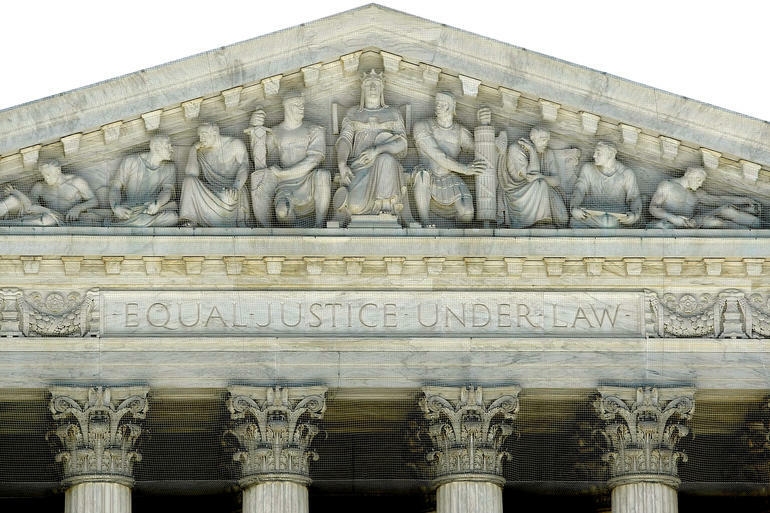 The Supreme Court’s Wednesday ruling sided with both defendants and declared that the searches were unconstitutional. By recognizing that the digital revolution has transformed our expectations of privacy, today’s decision…will help to protect the privacy rights of all Americans. We have entered a new world but, as the court today recognized, our old values still apply and limit the government’s ability to rummage through the intimate details of our private lives. In its ruling, the court also rejected prosecutors’ notion that the ability to remotely wipe or lock a phone required police to search the devices immediately upon arrest before evidence could be destroyed. The court responded that police can easily prevent evidence from being remotely destroyed by turning the phone off or removing its battery, or putting it into a Faraday cage that blocks radio waves until a search warrant can be obtained. The term ‘cell phone’ is itself misleading shorthand. Many of these devices are in fact minicomputers that also have the capacity to be used as a telephone. They could just as easily be called cameras, video players, rolodexes, calendars, tape recorders, libraries, diaries, albums, televisions, maps or newspapers. The court recognizes that two pictures reveal something limited but a thousand reveals something very different. Does it mean something different when you’re collecting one person’s phone calls versus collecting everyone’s phone calls over five years? Technology allows the government to see things in quantities they couldn’t see otherwise. Granted, the court did provide for some exceptions, but only in cases of extraordinary and specific danger – like child abduction or the threat of a terrorist attack. But such specifications require that police establish that an emergency exists before taking drastic action. Occurring on the heels of the Supreme Court decision that outlawed the use of cell phones to track people’s movements, this latest decision is another victory in the battle of privacy versus state security. And given the precedent it has set, perhaps we can look forward to some meaningful ruling against everything the NSA has been doing in Fort Meade for the past few years. One can always hope, can’t one? Smartphones and tablets, with their high-resolution touchscreens and ever-increasing number of apps, are all very impressive and good. And though some apps are even able to jump from the screen in 3D, the vast majority are still limited to two-dimensions and are limited in terms of interaction. More and more, interface designers are attempting to break this fourth wall and make information something that you can really feel and move with your own two hands. 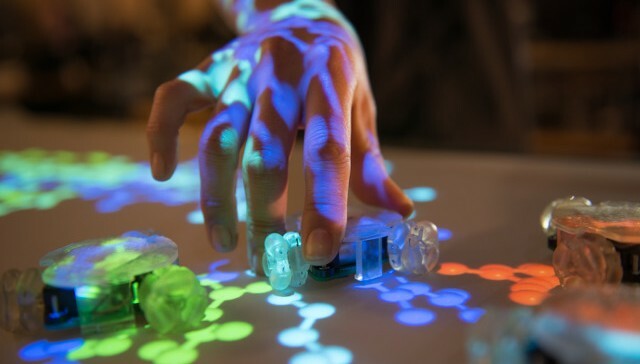 Take the Thumbles, an interactive screen created by James Patten from Patten Studio. 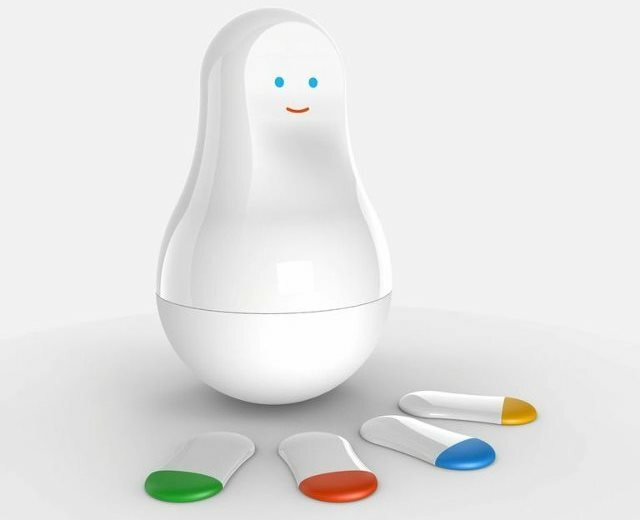 Rather than your convention 2D touchscreen that responds to the heat in your fingers, this desktop interface combines touch screens with tiny robots that act as interactive controls. Whenever a new button would normally pop on the screen, a robot drives up instead, precisely parking for the user to grab it, turn it, or rearrange it. And the idea is surprisingly versatile. As the video below demonstrates, the robots serve all sorts of functions. In various applications, they appear as grabbable hooks at the ends of molecules, twistable knobs in a sound and video editor, trackable police cars on traffic maps, and swappable space ships in a video game. 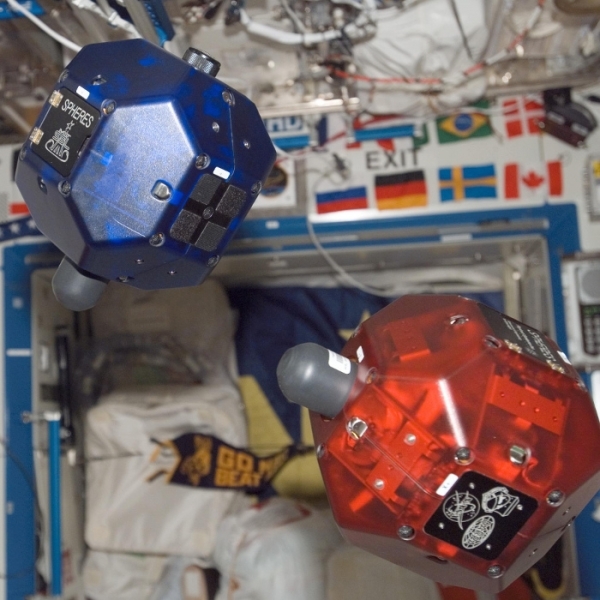 If you move or twist one robot, another robot can mirror the movement perfectly. And thanks to their omnidirectional wheels, the robots always move with singular intent, driving in any direction without turning first. Naturally, there are concerns about the practicality of this technology where size is concerned. While it makes sense for instances where space isn’t a primary concern, it doesn’t exactly work for a smartphone or tablet touchscreen. In that case, the means simply don’t exist to create robots small enough to wander around the tiny screen space and act as interfaces. But in police stations, architecture firms, industrial design settings, or military command centers, the Thumbles and systems like it are sure to be all the rage. Consider another example shown in the video, where we see a dispatcher who is able to pick up and move a police car to a new location to dispatch it. 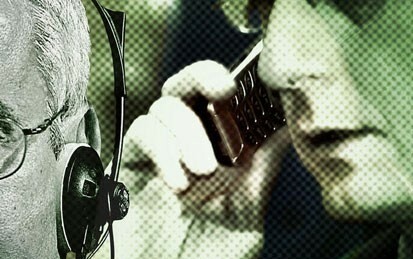 Whereas a dispatcher is currently required to listen for news of a disturbance, check an available list of vehicles, see who is close to the scene, and then call that police officer to go to that scene, this tactile interface streamlines such tasks into quick movements and manipulations. The same holds true for architects who want to move design features around on a CAD model; corporate officers who need to visualize their business model; landscapers who want to see what a stretch of Earth will look like once they’ve raised a section of land, changed the drainage, planted trees or bushes, etc. ; and military planners can actively tell different units on a battlefield (or a natural disaster) what to do in real-time, responding to changing circumstances quicker and more effectively, and with far less confusion. Be sure to check out the demo video below, showing the Thumbles in action. And be sure to check out Patten Studio on their website.